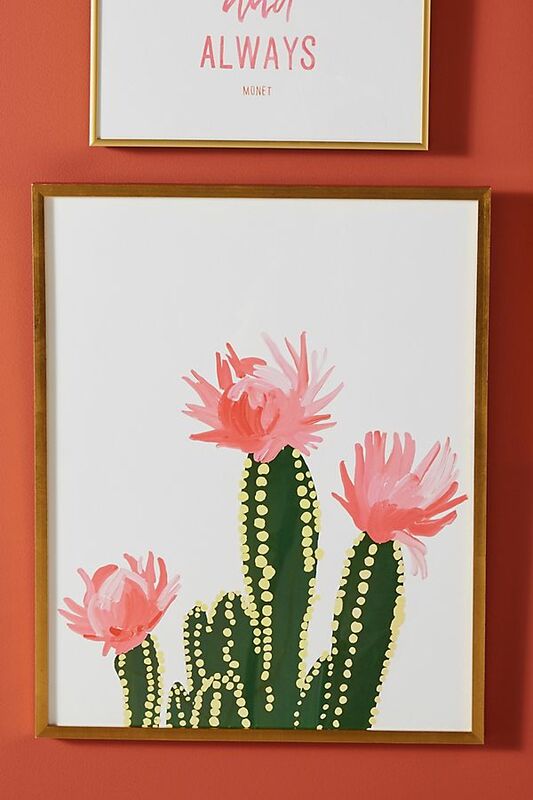 Shop our new print sold at Anthropologie here. I love seeing a newly designed space and thinking about how I can conceptually add to it by making a unique painting that's personalized to the people who live there. I recently created a custom painting for a client in Piedmont, California. 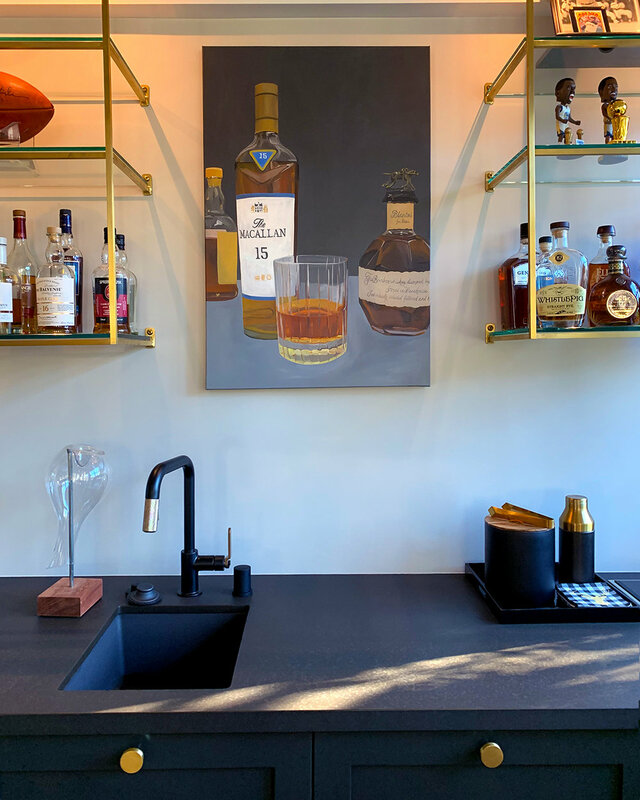 The painting was a gift for my client’s husband to showcase his collection of whiskey and scotch bottles. 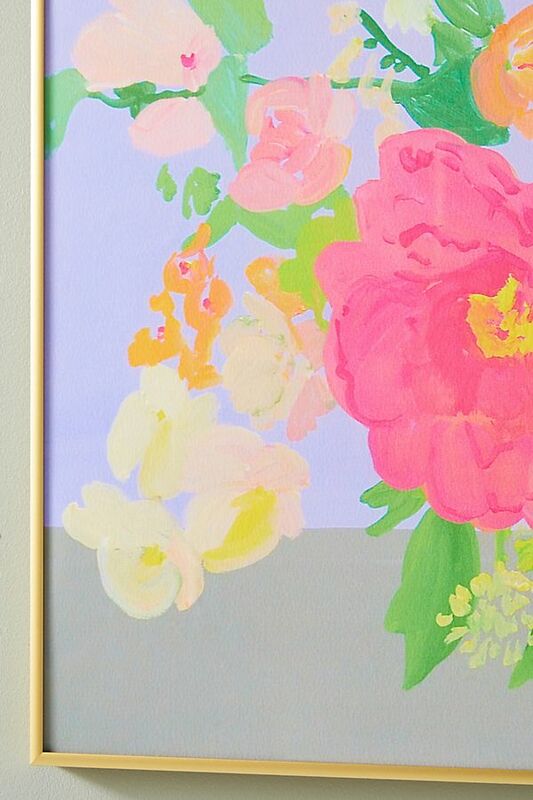 Highlights from this piece include working with the client to choose a color that best fit the room, and learning how to create a more detailed and delicate painting. I’m thrilled with how it came out, and look forward to painting more commissions in the future. For those who haven’t been, Piedmont is a town hidden within the urban sprawl of Oakland proper. The neighborhood is both charming and unique from East Bay cities, with its spacious homes and beautiful parks. To get there was just a twenty minute drive from my studio. After my client gave me a tour of the den, we finalized details for the color palette. For the base, we decided on a dark gray to create a more masculine tone. This also matched the gray cabinetry and dark fixtures in the den’s bar. For some added details, I painted several gold elements that matched the gold detailing within the room. The size of the canvas was around 24’’ x 36’’. The client chose her husband’s three favorite bottles paired with his tumbler glass to really make it custom to him and what he owns. Because the glass bottles were so intricate, and had different facets and forms, the light which reflected off them was fun to play with. At the same time, it made it more complicated to paint because of the blending it required, as well as the geometry and angles. All in all, it was a challenge and a great learning opportunity. I’m currently taking orders for new custom work. Please email your inquires to orders@paintandpetals.art to reserve your space! 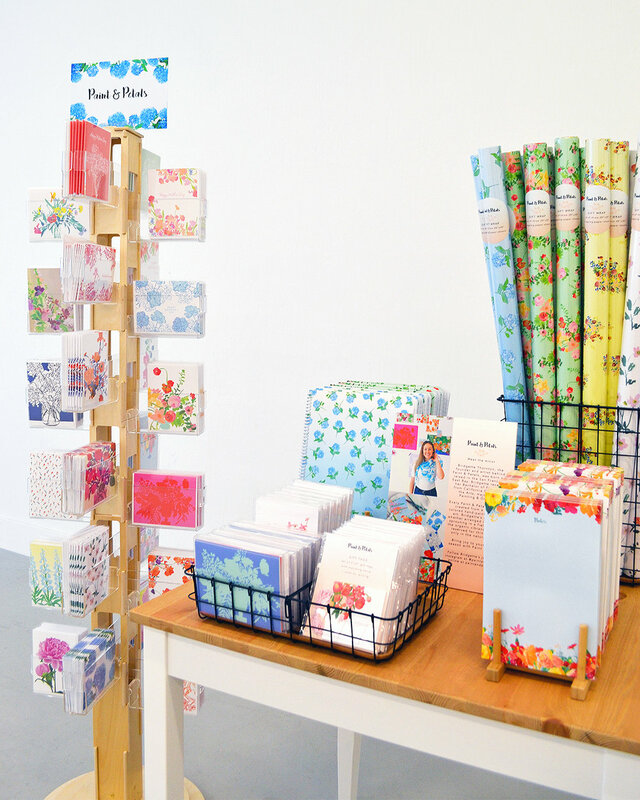 Paint & Petals recently launched our first wholesale market in the Bay Area called Indie Market. 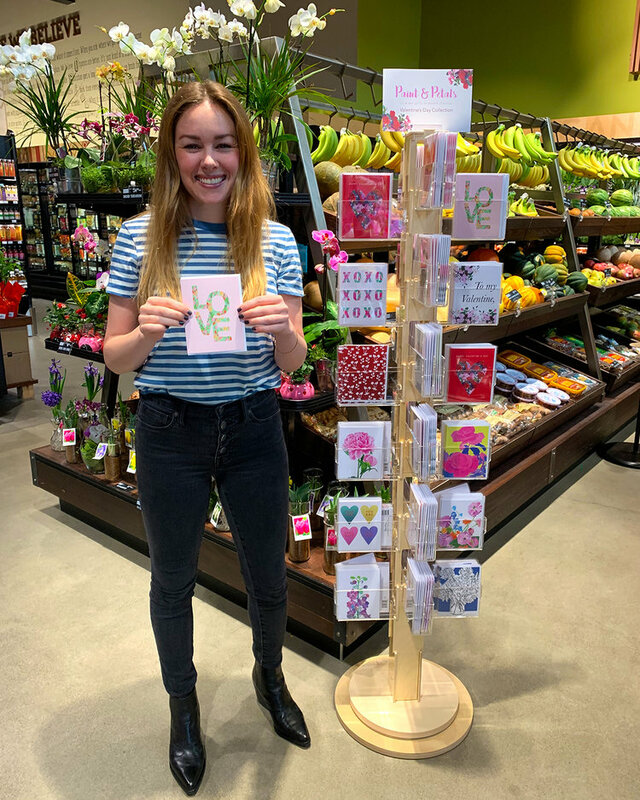 This launch has lead to many opportunities, including a unique and unexpected partnership with Market 5-ONE-5, a specialty grocery store that offers fresh, organic, and local food options. As a longtime advocate for health and wellness, I was thrilled to announce this partnership. I see health and wellness as an important part of self-care, essential to living a healthy and fulfilling life. Combining my values and art for this collaboration with Market 5-ONE-5 is exciting. The first collection we launched with Market-5-ONE-5 was for Valentine's Day. With this launch, I did a two day in- store pop up to connect with customers, share my story as a California-based artist, and connect with the broader community. 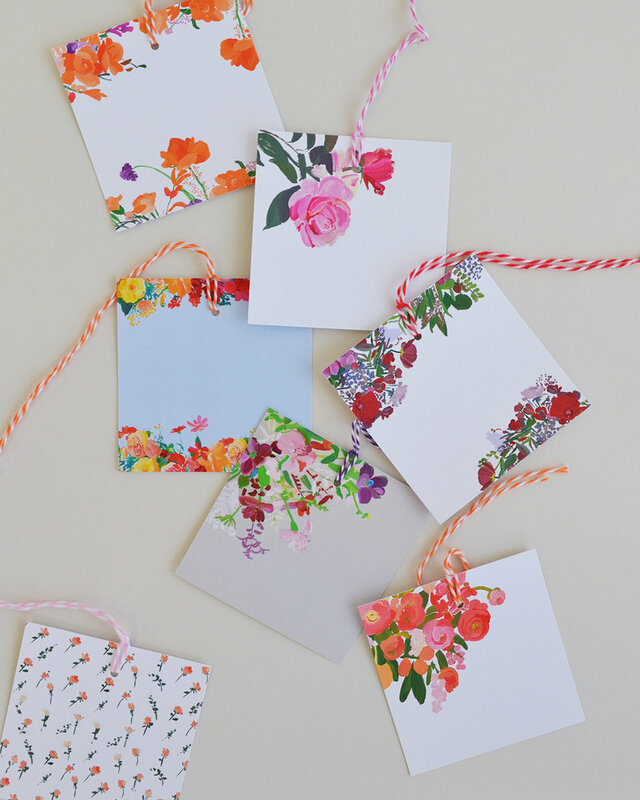 I also spoke to people about each card, and how they were created from my hand painted designs. You’ll notice in the photos I displayed several hand-painted prints to show the original paintings behind the graphics. People were excited to hear more about the story behind the collection. 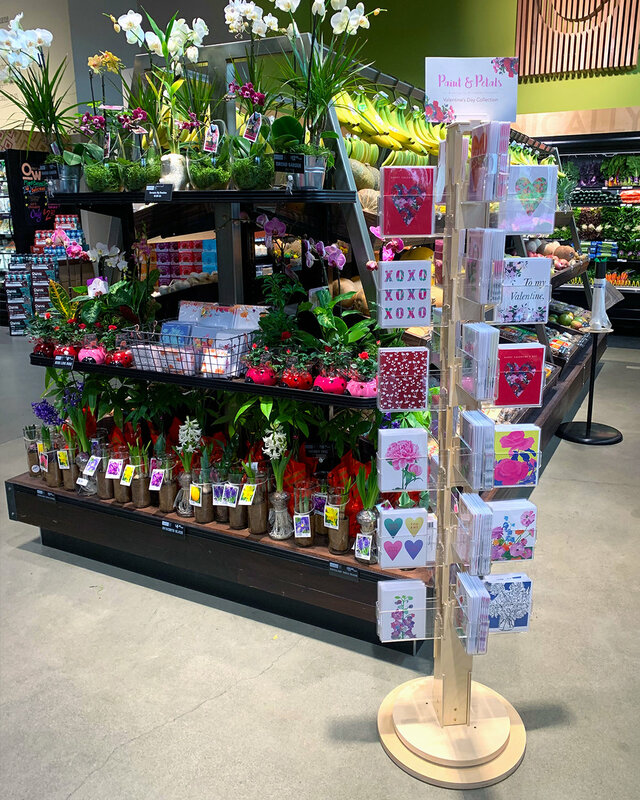 The collection is displayed in the front of the store next to the floral shop where you can find orchids, irises and other novelty gifts. Then, just beyond the floral shop, you can find fresh fruit and veggies. 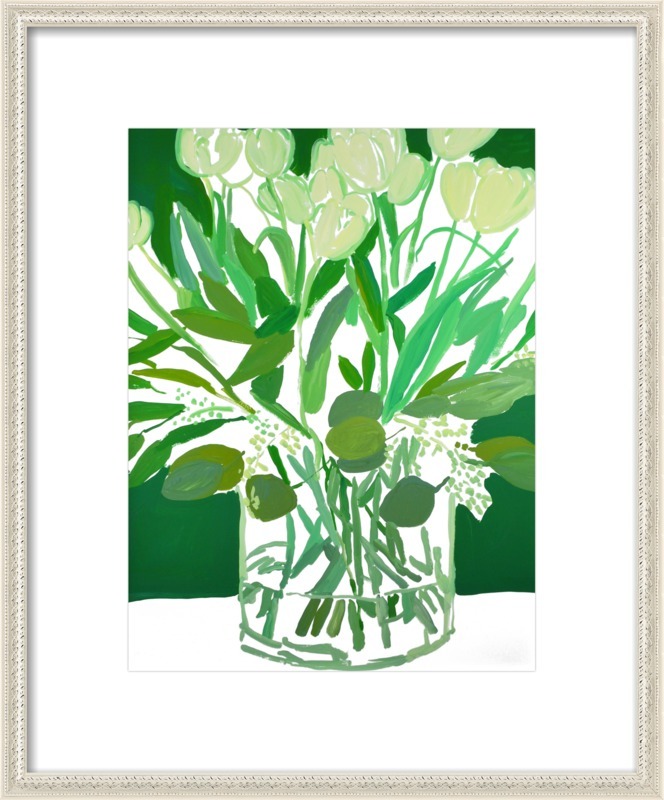 It’s a totally fun and new way to pair my art, and I can’t wait for more collections to come with Market 5-ONE-5. 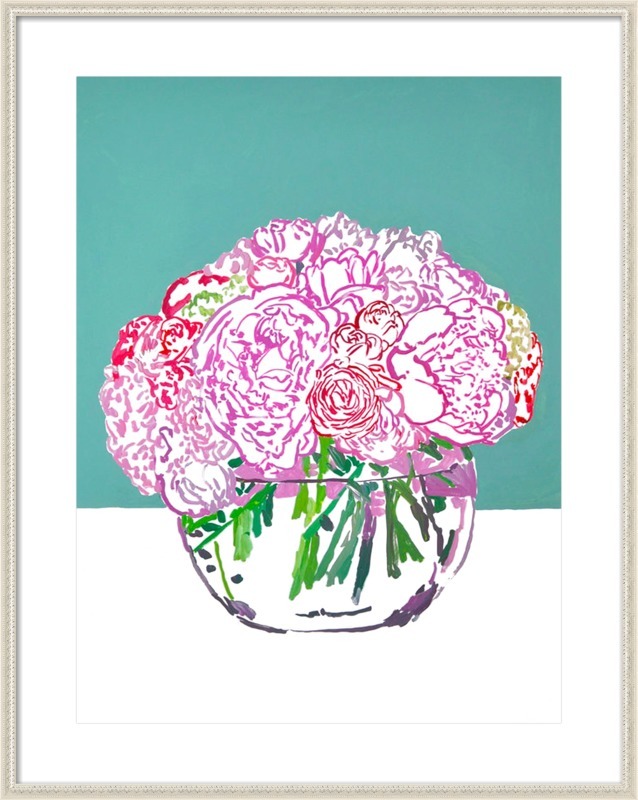 We recently launched a new art print with Anthropology, a super fun piece for spring called Be Mine. It's a bit of a departure from my normal style. 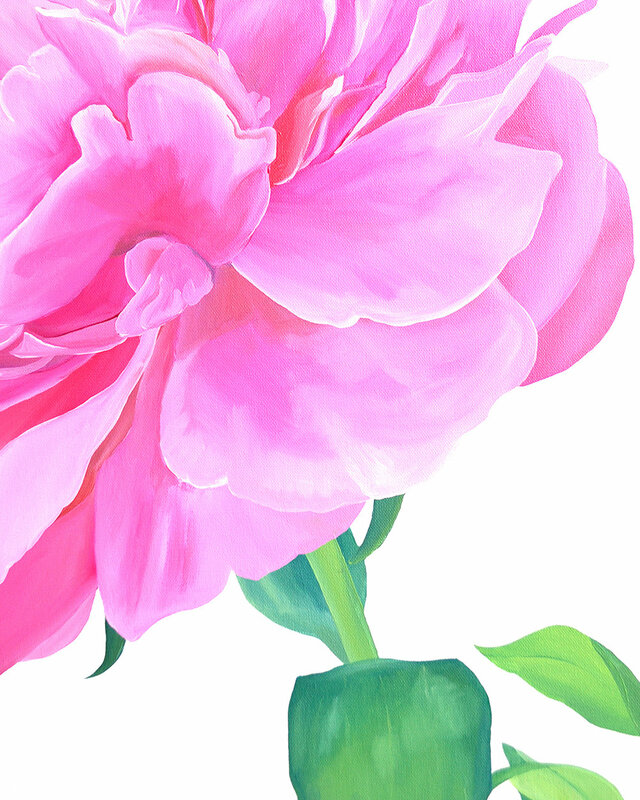 You'll still see the big beautiful flowers within the artwork, but the color palette is a bit new for me. It’s a really cool light lavender background with peach elements and a lemon in the arrangement, which is fun and actually inspired me to want to do lemon repeating patterns as a part of another collection (coming soon!). 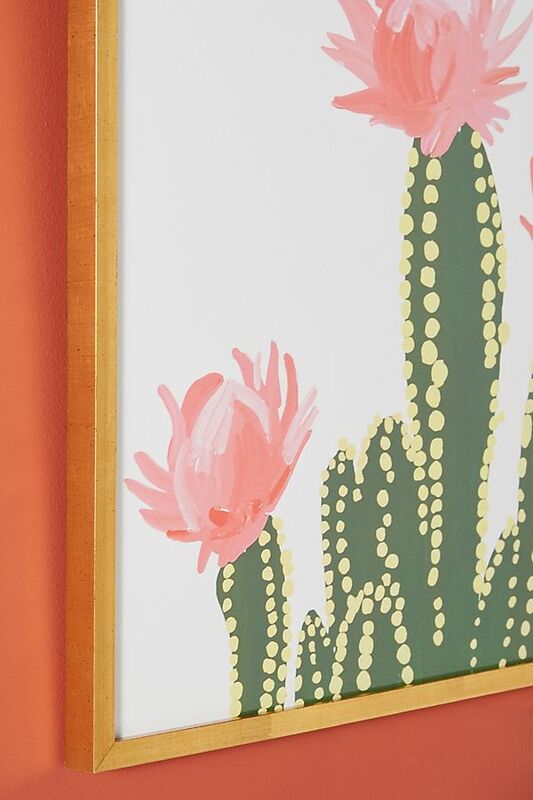 Something that I really like about this piece is that it comes framed at Anthropology, and is manufactured by a company called Artfully Walls. If you go to artfullywalls.com you'll see other pieces of my artwork as well. 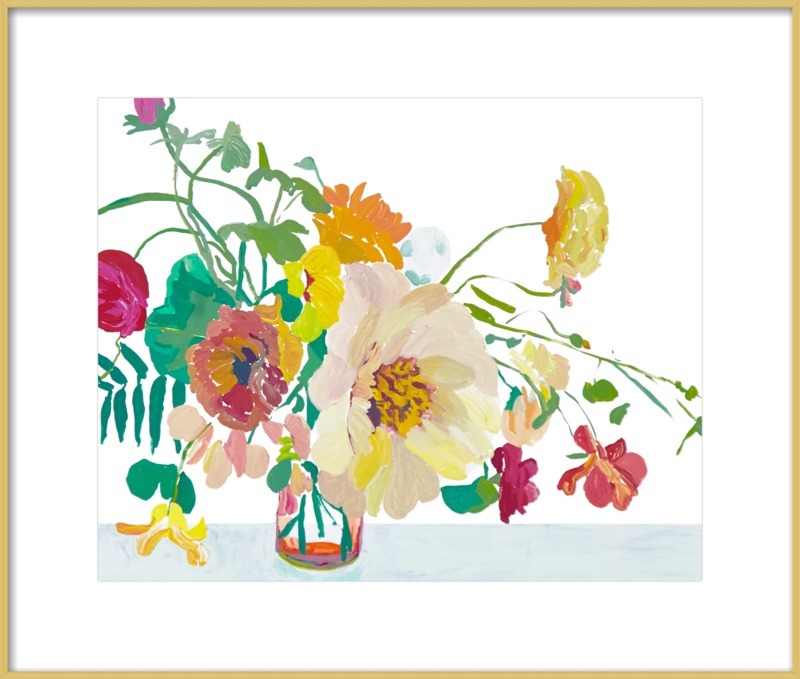 The company does a great job with creating custom framing for pieces, something I love to point out to customers who might be looking for more options to choose from when it comes to customizing your art to your space. 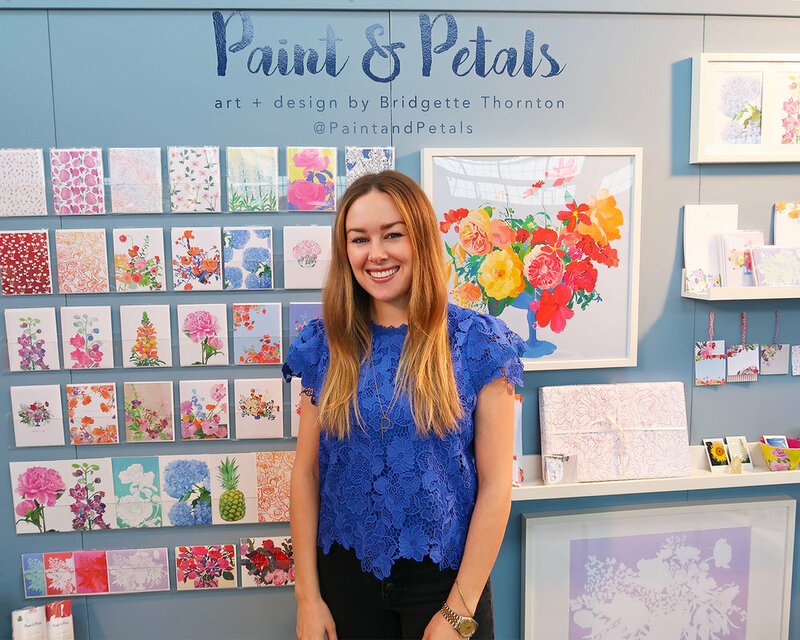 Paint & Petals, the Spring 19’ collection, launched for wholesale markets in January at Indie Market, a tradeshow in the Bay Area focused on the newest lines and latest trends from vendors and artisans. Indie Market’s mission is to create an experience with a true sense of community, and I was very grateful to showcase my work here. 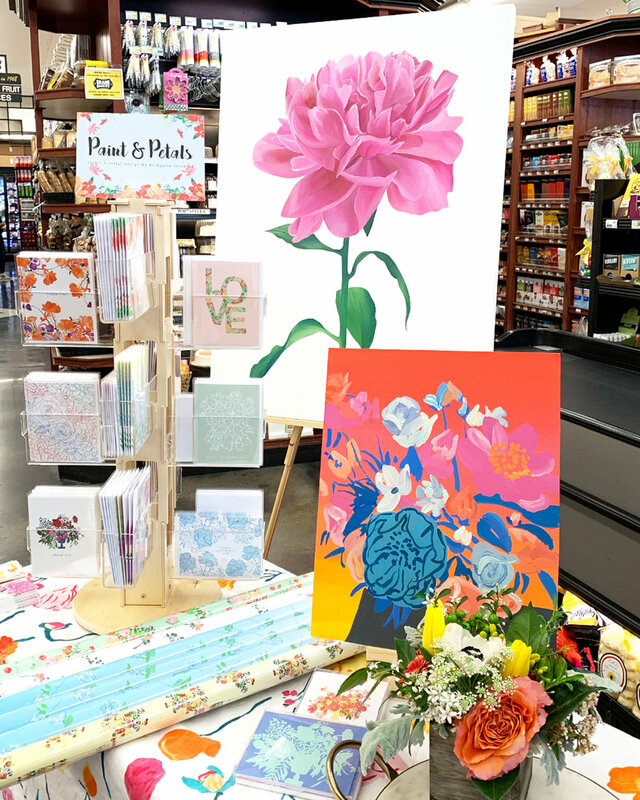 Paint & Petals is full of bright, vibrant colors and includes an assortment of floral prints, scarfs, stationery sets, gift tags, gift wrap, notepads, individual greeting cards and sets. My hope for this collection was to create something that could be passed from mothers to daughters, sisters and friends. 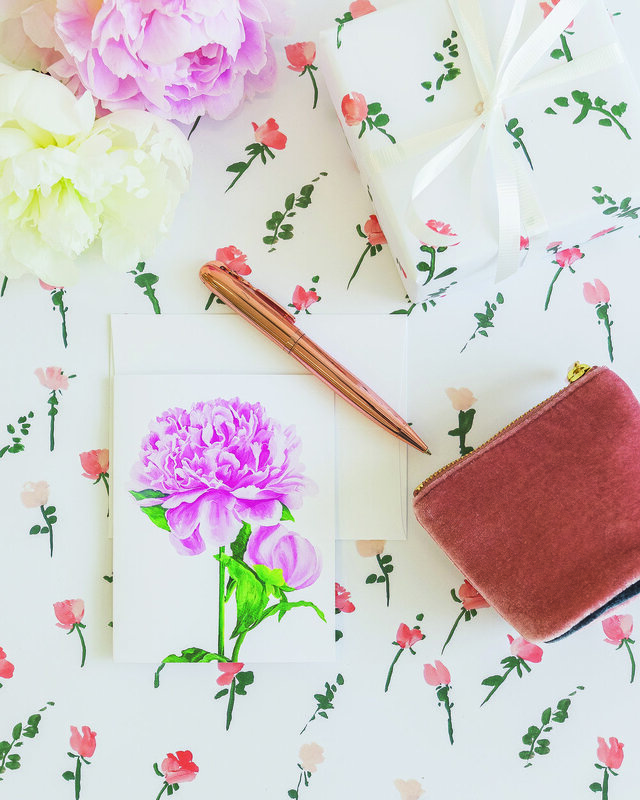 I’m excited to announce the line is now being carried at six different locations: Pippa & Co, a local stationary store in Berkeley, I Love Paris, a novelty gift shop outside Yosemite, and Two Hands Paperie, a boutique in Colorado that’s been in the community for over twenty years. They carry art supplies, journals, notebooks, and unique gifts from around the world, and I’m thrilled to say Paint & Petals is included in the mix. Added bonus: Two Hands Paperie offers art classes and hosts community events. 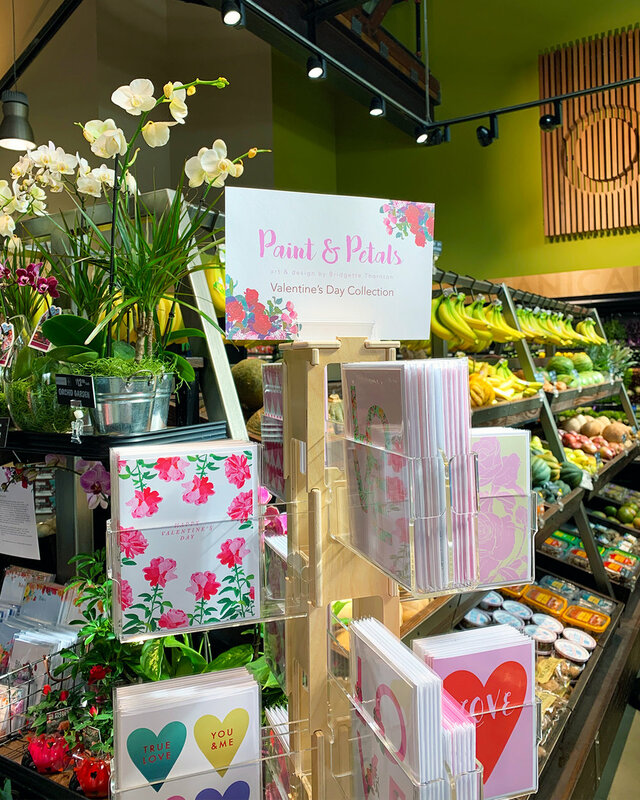 Check them out if you’re in Boulder, Co.
Other places you can find Paint and Petals include Market 5-ONE-5, a local organic grocery store, Diablo Foods, a family owned speciality grocery store in Lafayette, CA, and Orchard Nursery, a nursery and gift boutique also located in Lafayette. This was my first wholesale trade show and it was a fun and challenging experience, from start to finish. Learning how to build a trade show booth was not an easy task and I’m grateful for the team that helped along the way. I wanted the booth to feel cheerful and welcoming and I think we did a great job making this happen. Our best sellers were the gift tags and the art prints and scarves. A personal favorite would have to be the wrapping paper because each pattern is so unique, and I haven’t seen anything like it on the market. A highlight from Indie Market was seeing the full collection on display. As an artist you’re often focused on one or two pieces at a time, and it was a great feeling to see each piece complement the other as a full collection. Another highlight was creating my first print catalog, which was a fun experience, from coming up with creative concepts, to design and display. I have always enjoyed producing photoshoots for my art and products, and to do this at Indie Market was an added bonus. Thank you again to Indie Market for having me. I can’t wait to see everyone at our next show. 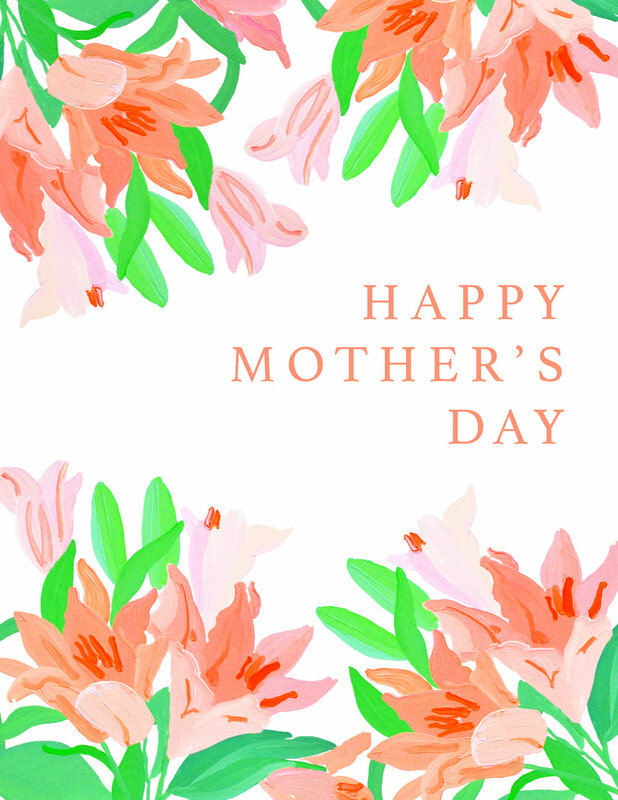 28 Likes, 2 Comments - PAINT & PETALS ™ (@paintandpetals) on Instagram: "We launched our wholesale collection in January. Currently selling in six retail locations. The..."
I was thrilled to travel to Incline Village for a three-day mural project in a beautiful home on the shores of North Lake Tahoe. This was the first interior mural I have painted, and it was modeled after one of my favorite paintings: Confetti. The mural included an array of roses, pennies and daisies, spaced evenly across a light periwinkle blue canvas; that is - a 20 foot wall that required a steep latter and scaffolding to reach. Although this project was at times challenging, it was a great learning experience and I’m excited to create more murals in the future. 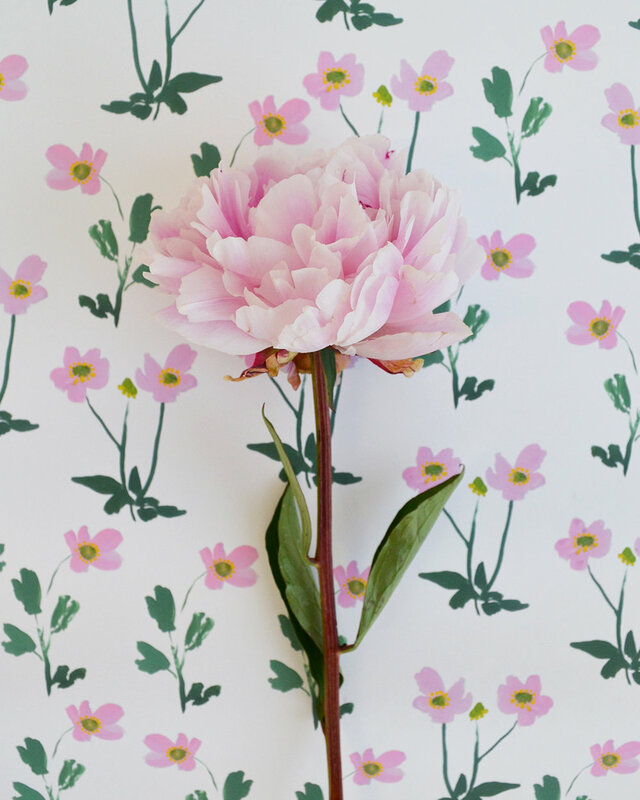 To cover the expanse of the wall, each flower was painted roughly one foot in length. The first step was gathering my favorite photos of flowers. To do this, I collected images from both from my personal photo collection as well as Pinterest. I made sure each print was the same size so that they would look uniform on the wall. Next, I used stencils to trace an outline of each flower, there were more than 30. 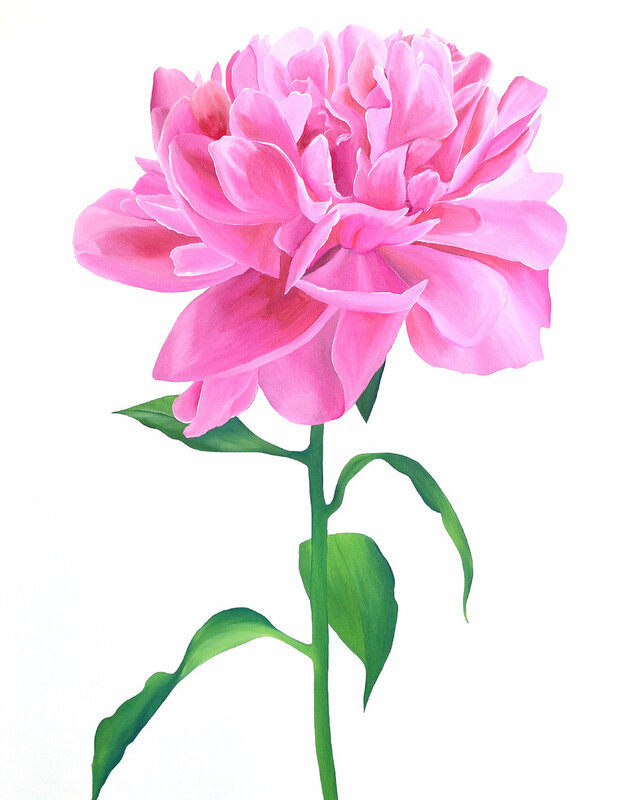 This ensured each flower was spaced evenly apart before I began painting. 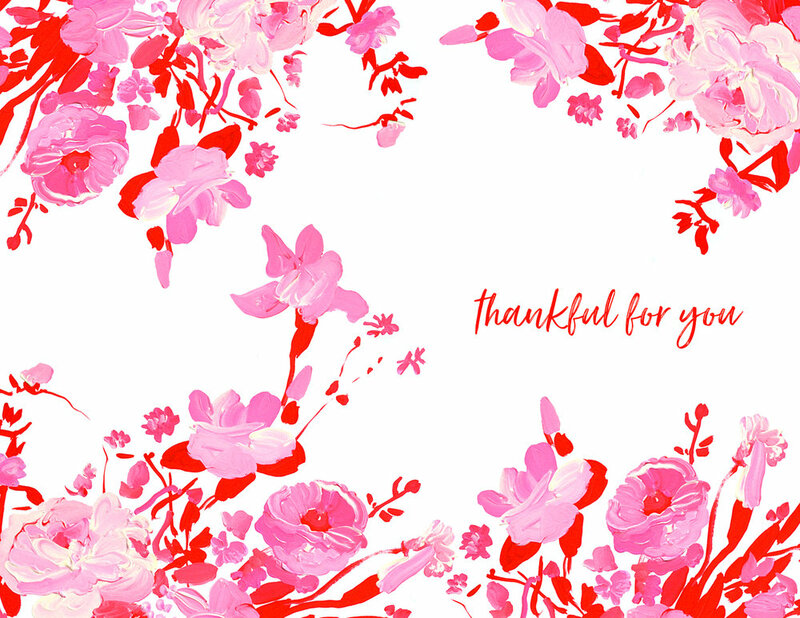 My supplies consisted of printed flowers on paper, carbon transfer paper, a pencil, paint brushes, my favorite gouache paint, water cups and pallet plates. I use Acryla paint, and recommend the brand holbeinartistmaterials. One of the highlights from this project was traveling from the Bay Area to Lake Tahoe to work with the residents to choose a base color (periwinkle) that tied in with the home’s color palette. To blend the periwinkle with the other colors in the house, which included grays, navy and light shades of blues, I painted the stems of each flowers with shades of green and blue. I also added pops of colors into the petals: pale purples and pinks, and different shades of orange and yellows. Creating this mural was the first time that I had an entire room as my canvas. It was a challenging project, but fun and incredibly rewarding. Combined with natural lighting, a chandelier that cast an opalescent glow, and exquisite views of Lake Tahoe and the Sierra in its background, I couldn’t be happier with how this mural turned out. To learn more about having a mural painted in your home, please submit an inquire through my about page. Bridgette's Blog - New Art! 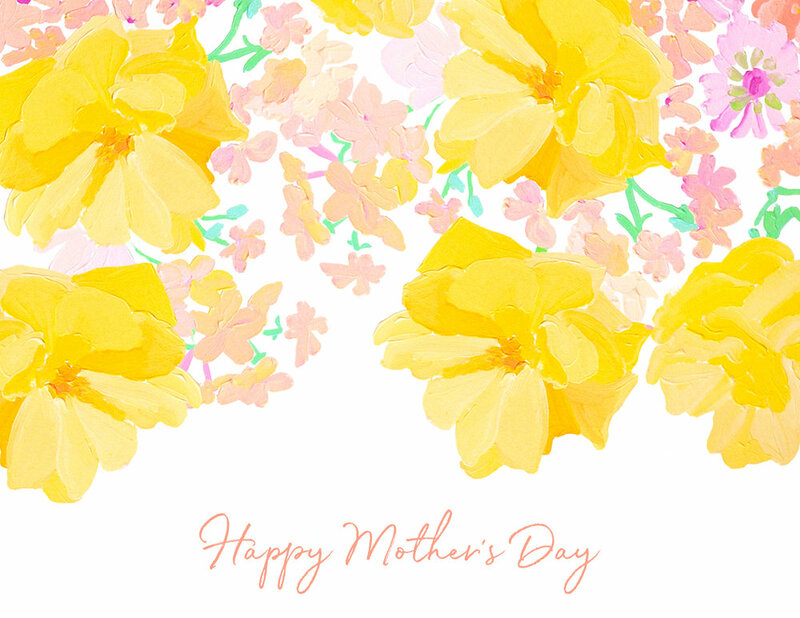 The Paint & Petals Lemon Drop Scarf is my personal favorite of the three new styles. I created this design by taking hand painted elements from my painting titled Color Pop. 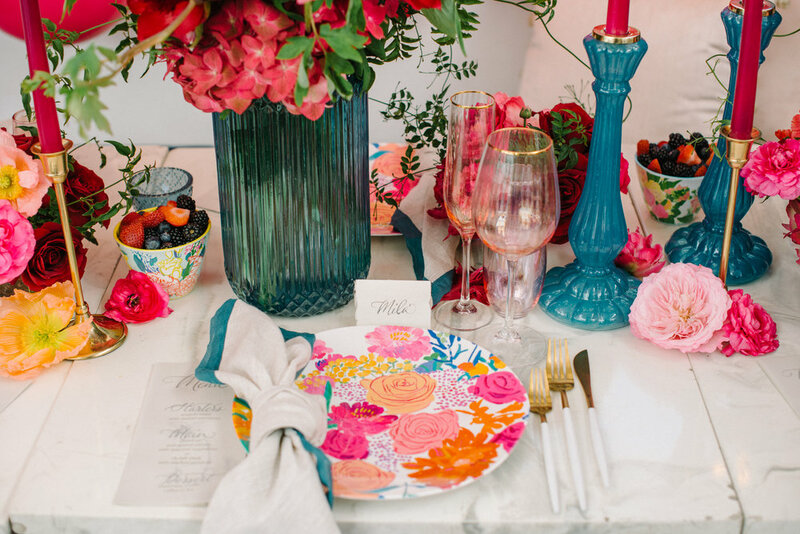 Behind the floral design there is a color gradient that fades from light pink to a flattering pale yellow. I love wearing scarves in creative ways...tied on a bag, placed in a ponytail or worn as a shawl. I styled the Lemon Drop Scarf with a bright yellow silk cami and warm cream cardigan both from Anthropologie. Shooting these photos was such a blast. My photographer Hillary Jeanne and I chose to shoot everything on Baker Beach in San Francisco, creating a Fall Beach Day aesthetic. 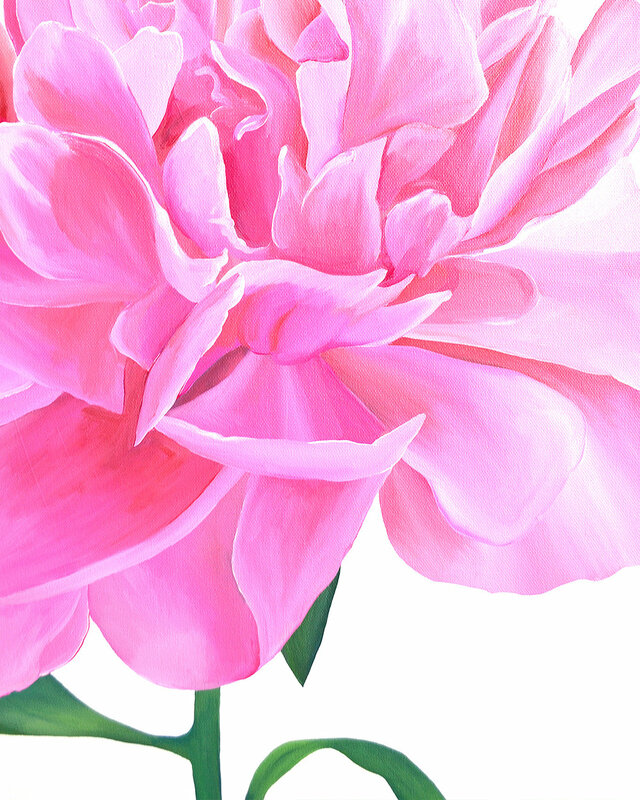 The Pink Peonies Scarf is perfect for pairing with a simple chic outfit. I styled it with a romantic off the shoulder top from Reformation, linked below, and my favorite denim from Madewell. Scarves have always been my go to accessory for Fall. Scarves are an outfit staple in the Bay Area because of the unpredictable weather we get in both the Summer and Fall. Each scarf in the collection is 36"x36", the perfect size for creative use! I love the idea of using one as a beach cover up or tied on a bag, pictured above, for an added pop of color. I used my hand painted floral painting titled Wild Thing for this particular scarf design. 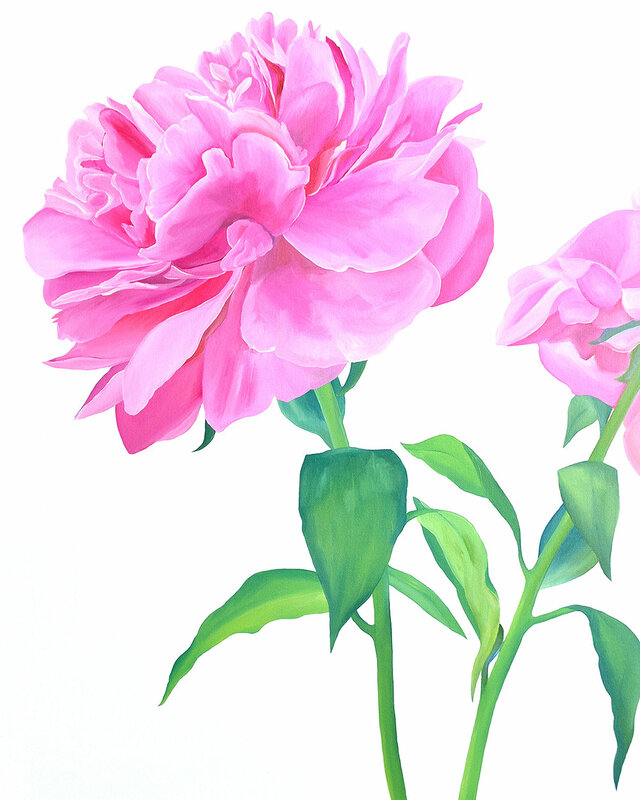 The original painting has already sold, but it can be recreated as a custom commission or print upon request. 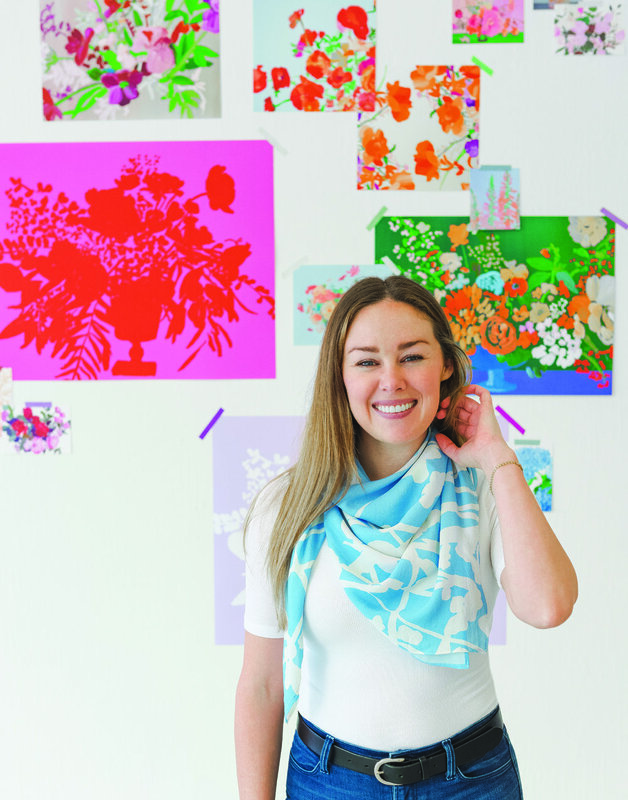 The Paint & Petals Blue Sky Scarf is perfect for styling with blue jeans and a winter white blouse or sweater. This scarf style is the most unique of the bunch due to its graphic visual quality and simple two toned color pallet. I created this artwork using my painting titled Wind Swept. 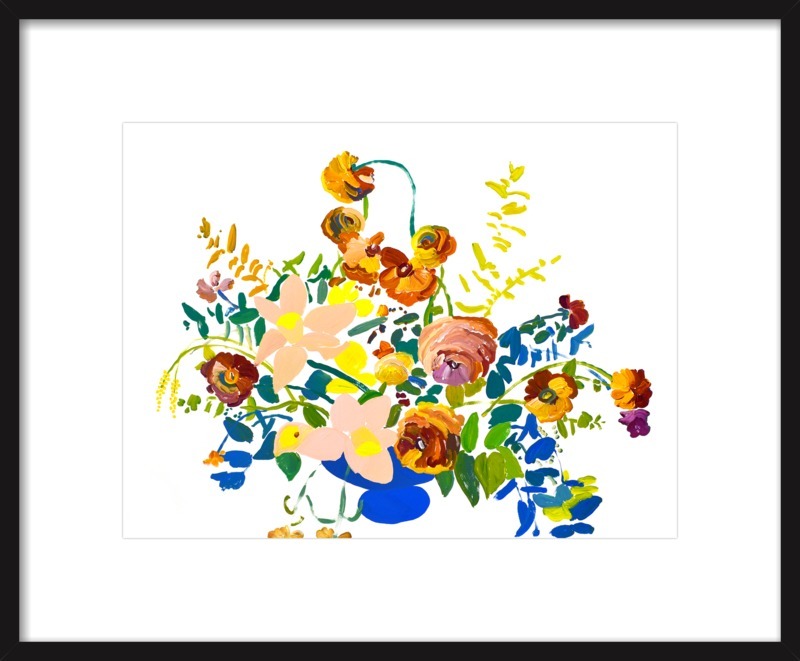 I took the floral parts of the painting and transformed them into a white silhouette. 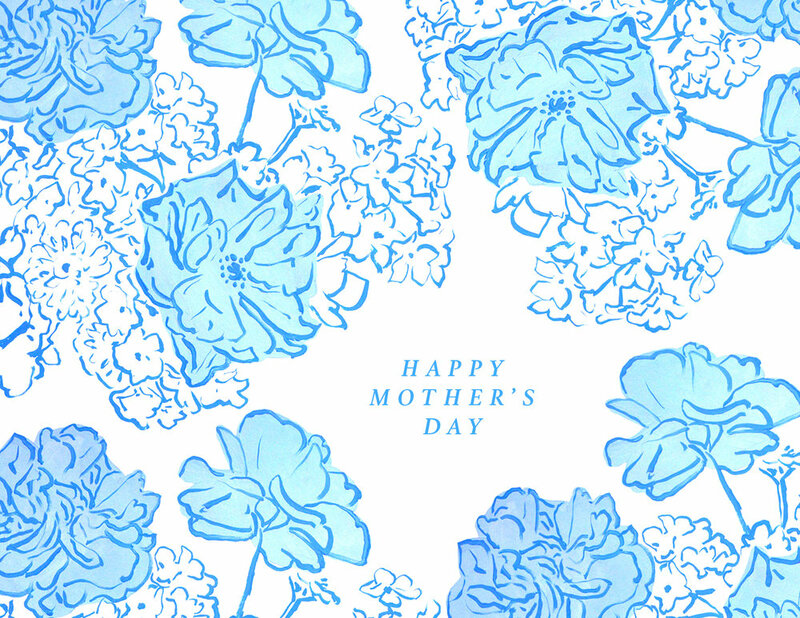 The white graphic was then placed on a sky blue background color. I love the color blue for clothing because I think it is the most flattering color for every complexion.